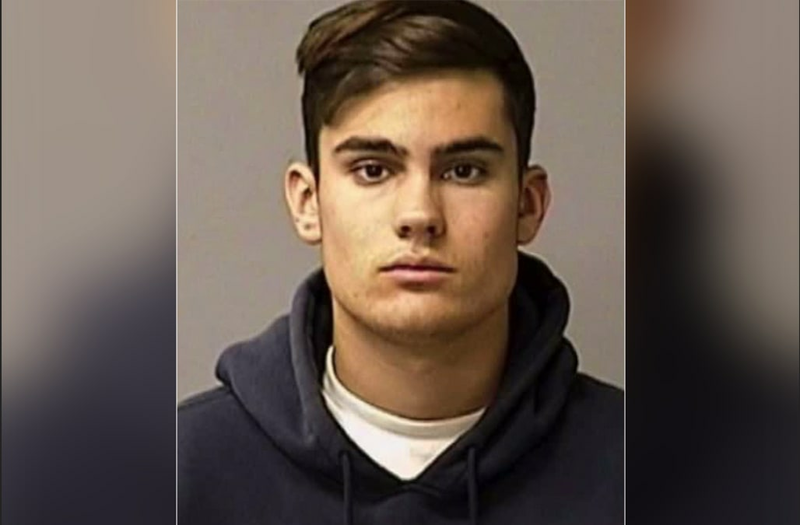 TURLOCK, California (KTXL) -- One teen ended up with a broken jaw and another arrested Wednesday after a couple of kids took the 'senior assassination game' too far. The game, a town tradition for Turlock High School seniors landed an 18-year-old in jail. Caleb Norman was charged with felony aggravated assault. Norman is a Turlock High School student who went to Donnelley Park with 10 other students to play 'Senior Assassination.' Police say things escalated from there. According to police, a female student shot Norman with a water gun sparking an argument with the young woman's 19-year-old boyfriend. One teen ended up with a broken jaw and another arrested Wednesday after a couple of kids took the 'senior assassination game' too far. Police say Norman punched the 19-year-old in the jaw and they started wrestling before Norman struck the boyfriend several more times causing significant injuries to his face. Krystal Ramirez and Gabrielle Gonzalves remember when the game only involved water guns and balloons. "Get water balloons and go after our rivals," said Ramirez while reminiscing. Thinking about the game and the two teens involved in the altercation Ramirez asked, "how did it even get physical?" "It's water! You're suppose to shoot water at the person or shoot from a [water] gun," Ramirez exclaimed. The 19-year-old will need facial surgery, according to police. "That's pretty scary," said Ramirez. "It doesn't have to get that crazy. People don't need to take it that far," she said. The 'senior assassination' game has provided teens in Turlock with innocent fun for decades however, Turlock is not the only city now having problems with the game. In February, Manteca police responded to a robbery call that turned out to be kids with toy guns playing the game. as well as result in school discipline and or removal from senior activities like prom grad night or commencement."